Speed is the number one factor linked to improving athletic performance in sport. Paul Collins’ unique coaching guides you step-by-step through increasing speed for sport. 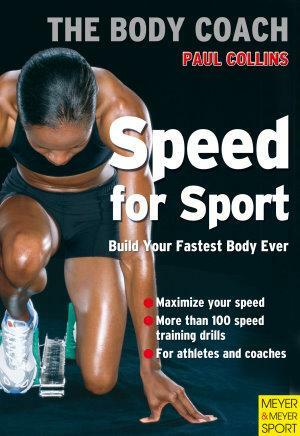 The book offers over 100 of the latest speed training drills used by world-class athletes and sporting teams for developing speed, agility, reaction and quickness.About the Author:Paul Collins, Australia’s Personal Trainer is founder of The Body Coach® fitness products, books, DVDs and educational coaching systems – helping people to get fit, lose weight, look good and feel great. Coaching since age 14, Paul has personally trained world-class athletes and teams in a variety of sports from Track and Field, Squash, Rugby, Golf, Soccer and Tennis to members of the Australian Karate Team and world-renowned Australian Olympic and Paralympic Swimming teams.